I’m still bringing it up because there needs to be these types of discussions. All this leisurely hip-hopping is disgusting. But then again, Jay HAS been talking about pretty much the same stuff since he came out. I think it would be fair to say that he’s been pretty consistent as far as his Robb Report aspirations and lifestyle goes. 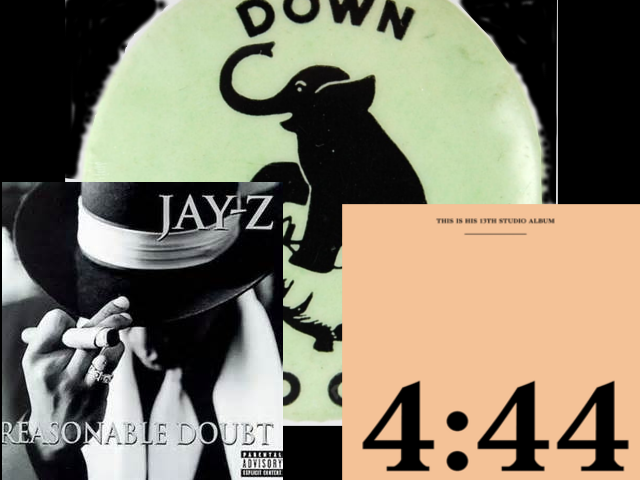 4:44 has the same old Jay-Z talk, but there seems to be an honesty and maturity level to this album that I don’t see in other ‘commercial’ rapper’s albums now. I’m thinking of the Rick Rosses and the Young Jeezy’s, who still cling to the one foot in, one foot out of the streets and drug game tropes. These tropes fuel the negative stigmas and stereotypes that we are still struggling to escape today. To have an album from that former street dude that focuses on the Black family, and legacy and wealth in a responsible manner, at this junction of the ascendance of Black culture and consciousness is highly appropriate. BUT it’s not a conscious album. Is it? And Jay-Z is not a conscious rapper; is he? We can get into all the Illuminati and occultic references. Or his apparently blasphemous assertions and his perceived allegiance to D’evils. That’s a whole other conversation (albeit a long important one). That is all VERY debatable, but I want to close out with an old ‘freestyle’ Jay-Z dropped on Funk Flex (Most Kingz/Grammy Family). I tried to transcribe the verse (the lyrics are below the video for those who still like to read), but there are some spotty areas that I couldn’t decipher. If anyone has any corrections, let me know. *Note – I can name about 20 MC’s who are better lyricists than Jay-Z too. By Best Rapper Alive, I’m taking into consideration about 15 other metrics that your favorite rapper lacks. Every step you take, they remind you, you ghetto. So it’s tough being Bobby Brown. To be Bobby then, you gotta be Bobby now. Better than not having at..
Like Stevie. The writing’s on the wall like my Lady, right Be’by? The more successful, the more stressful. Has he lost his religion? Is the greed gonna get him? He’s having Heaven on Earth. Will his wings still fit him?